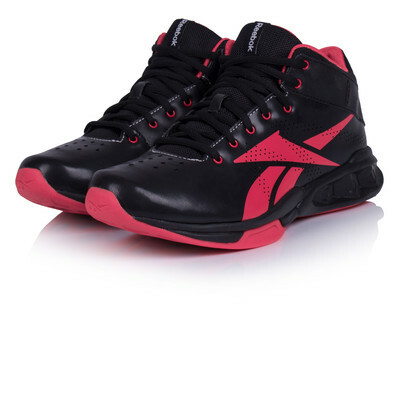 Due to manufacturer's restrictions we are unable to ship Reebok products to Great Britain. 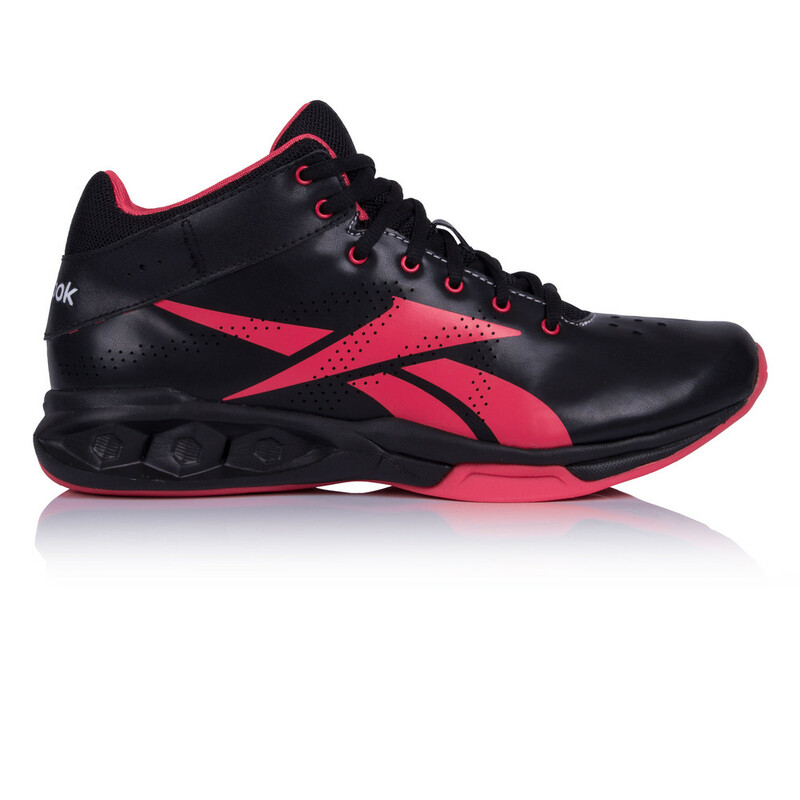 The Reebok HexRide Intensity Mid Training Shoe has been constructed using Reebok's signature HexRide technology to provide lightweight, supportive and air-cushioning comfort. The technology is created to fit a honeycomb style pattern, for exceptional cushioning to keep your feet comfortable. "great product, good cushioning and support, great price." "The shoes are brilliant! They fit well, theyâ? 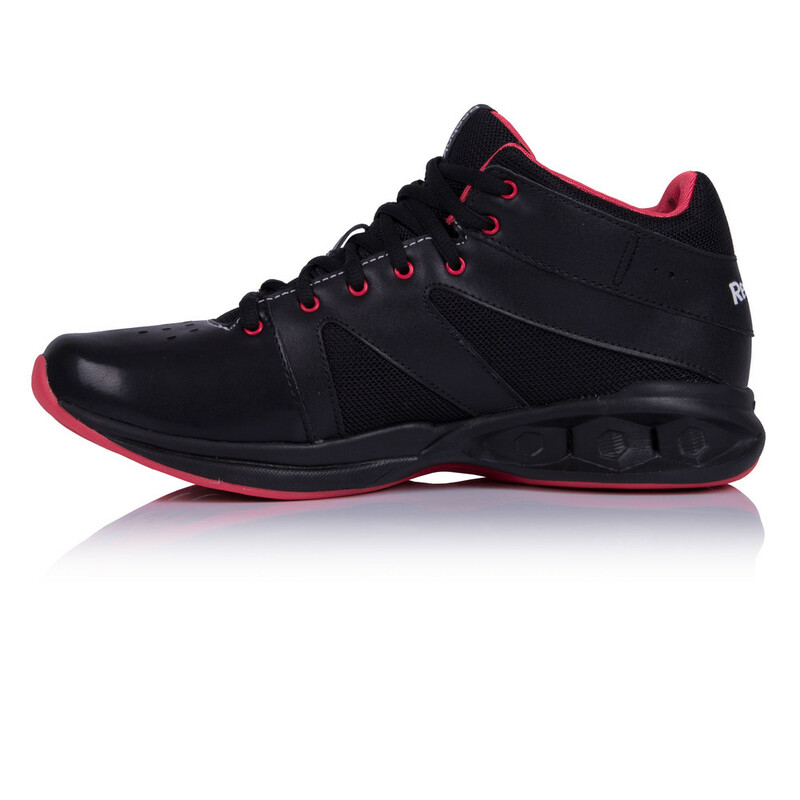 ?re comfy and they do their job"
Synthetic leather has been used in the upper of the Hexride Intensity to provide much-needed durability and support for high-intensity activity exercises and workouts. Reinforced leather will allow you to put yourself through rigorous movements without causing excess damage to the shoe, or placing unwanted wear and tear on susceptible areas. Working alongside the synthetic leather is breathable mesh panels, which encourage cool air to circulate inside the shoe, creating a drier, healthier environment for your feet to thrive in. Furthermore, the mesh actively and efficiently wicks away the build-up of sweat and moisture to leave you feeling cool, dry and comfortable as you strive for the best results and performance. A padded collar and tongue add to the comfort of the shoe whilst guarding against friction and irritation such as chafing which is quite prevalent during workouts. 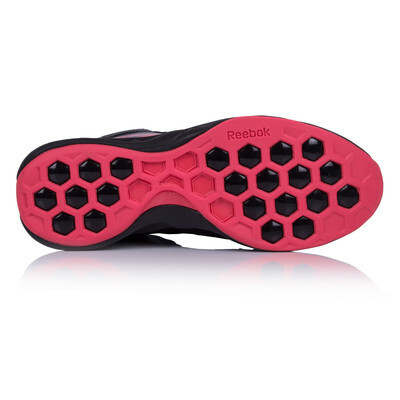 HexRide technology resides in the midsole to provide exceptional cushioning and comfort to help improve the feel and performance of the shoe as well as reducing the potential risk of injury and wear and tear placed on your joints during exercise, particularly when making sharp, aggressive movements. HexRide compiles itself in a honeycomb pattern to add resilience as well as structure, creating a fusion of cushioning and rigidity for prolonged performance. Essentially, in layman's terms, the HexRide technology traps air inside the shoe with an impact resistant polymer film to ensure the aforementioned lightweight cushioning. A mid-cut design offers stability and support, guarding against abrasion and discomfort. 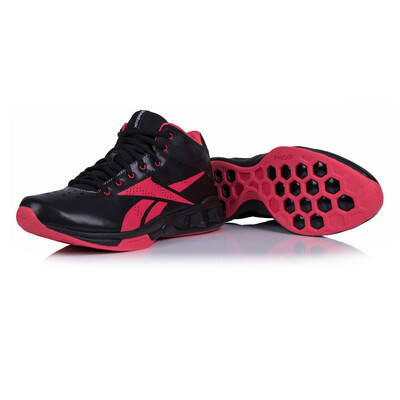 The durable rubber outsole of the Reebok HexRide Intensity adds durability and stability to give you a stable platform to work from. In addition, the outsole ensures optimal grip and traction to help deliver a full, unrestricted range of motion in all directions to allow more efficient movement. Synthetic Leather Upper - Adds durability and protection for high-intensity workouts. Breathable Mesh Panels - Encourages cool air to circulate. Padded Collar And Tongue - Adds comfort as well as guarding against friction and irritation. HexRide Midsole - Delivers exceptional cushioning and comfort. Mid-Cut Design - Offers stability and support. 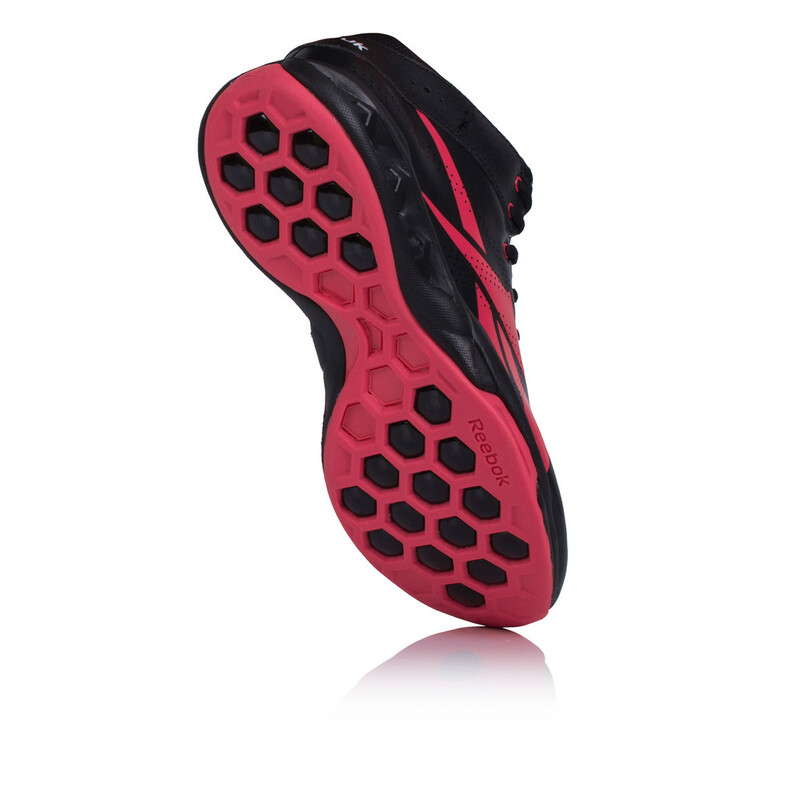 Durable Rubber Outsole - Provides optimal grip and traction.